Jonathan and his fellow graduates celebrate as they mark the end of their training and the beginning of their journey equipped with more skills. “Kung gusto nating umangat ang antas ng ating pamumuhay, dapat tayong magsikap hindi iyong palaging nakalubog sa lupa na hindi alam kung kalian aahon” (If we want to improve the quality of our lives, we should know when to rise)”, 21 year-old Jonathan Gonzales positively shared. It was in the afternoon on April 6, 2018 when Jonathan received his NC II certificate for Mechatronics servicing and Manufacturing Technology from the National College of Science and Technology-Institute of Industrial reseach and Training (NCST-IRRT), Dasmariñas, Cavite. Living in Pudtol is never easy for Jonathan whose family do not own any agricultural land and are dependent on farming and daily labor as their source of livelihood. “Gapu ta awan iti sarili me nga daga a matalon nga pangalaan iti kanen me, nagrugi ak napan nakilako iti tinapay ken balut idi kaubing ko (Since my family doesnot own a farm, we experienced hardship forcing me to work as a bread and “balut” vendor at a young age)”, Jonathan shared. At an early age, Jonathan Gonzales was separated from his biological family forcing him to live with his aunt. Jonathan’s mother died when he was still an infant. His aunt who resides in Pudtol, Apayao then took care of him whom he considers as his second mother. “Dahil sa hirap ng buhay namin, highschool lang ang natapos ko dahil wala na kasi kaming perang gagamitin sa pag-aaral ko. Noong tumigil ako sa pag-aaral, naghanap ako ng trabaho at nakuha naman akong attendant ng isang water refilling station sa amin, kung minsan naman nakikiarawan ako o kaya ay tumatangap ng dalawa o tatlong trabaho para mas malaki ang ma-uuwi kung sahod (Because of poverty, I was just able to finish highschool due to financial constrains for further education. When I graduated from highschool, I worked as an attendant of a water refilling station in our place, at times I accept two or three daily labors to get a higher income)”, Jonathan added. In December 2016, the Department of Social Welfare and Development (DSWD) through its Sustainable Livelihood Program (SLP) implemented a skills training on Mechatronics Servicing NCII and Certificate in Manufacturing Technology NCII, an opportunity provided to children of Pantawid Pamilyang Pilipino Program (Pantawid Pamilya) households in Apayao for viable employability or alternative source of income. Since their family is a beneficiary of the Pantawid Pamilyang since 2012, Jonathan qualified to be a participant of the Skills Training modality of SLP. This is a modality under SLP’s Employment Facilitation (EF) track that aims to provide assistance to qualified participants seeking employment through pre-employment guidance and orientation, technical-vocational and soft skills training, as well as job referrals or placement, among others. Jonathan took the opportunity and went to National College of Science and Technology-Institute of Industrial research and Training (NCST-IRRT), he and fellow beneficiaries underwent 3-months skills training and 1-year On the Job Training (OJT). Acknowledging the importance of this opportunity, Jonathan and fellow participants from Apayao did their best during the training. Their efforts and sacrifices were recognized as they received a Setsuko Miyata-Gan (Model Trainee) Award. During the ceremony they were given certificate and medal. Above these recognitions, Jonathan, now, reaps the fruit of his labor. “Nagkaroon ako ng pagkakataon na makakuha ng magandang trabaho, ang aking sahod ay pinapadala ko sa aking ina na siyang ginagamit nila sa araw-araw na gastusin. Dahil nakapasok na ako sa kompanya pinagbubutihan ko ang aking trabaho, pag nakaipon ako, itutuloy ko ang aking pag-aaral para makakuha ng diploma (I had the opportunity to get a good job,I am sending a part of my salary to my mother which they use for everyday expenses. 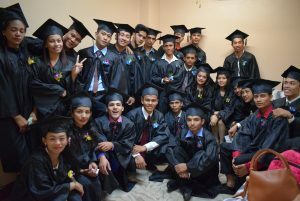 Since I am now absorbed in the company, I will continue my study to get a Diploma)”, Jonathan said. Posted on 02 February 2018. Regardless of age, gender and educational attainment, every resident in Tamac took a role in rebuilding their community. Tamac in the Municipality of Villaviciosa was isolated for several days when Typhoon Ineng hit the Province of Abra in 2015. The roads were impassable and residents were forced to immediately evacuate their homes after a huge landslide occurred near their major settlement affecting 134 households. Demetria Gamileng, 56, shared that she felt helpless when she gave one last glance at her newly built house before heading to the evacuation center. She lamented that they never had the chance to enjoy the comforts of their new house. “We have been stashing away our profit from tobacco production for several years for that house only to leave it as soon as it was finished,” she said. The community admits that it was never easy for them to start all over again. But instead of drowning themselves with this painful challenge, they chose to gather their strength and live their lives as if it was their second. According to Punong Barangay Carmelo Bayod, as per survey, around 50 hectares of land in the barangay and its surrounding areas eroded. Two houses were destroyed, but fortunately, there were no casualties. While they battled to survive the natural disaster that befell them, their strength as a community was also put to test. They had to put things in the proper perspective and provided strength to one another more than before. 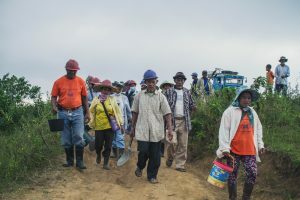 Five kilometers away from their previous settlement, they began building their new homes using materials provided by the Department of Social Welfare and Development Core Shelter Program and the Municipal Local Government Unit. But, just as they were recovering from the damages brought by Typhoon Ineng, they received another blow in 2016 when Typhoon Lawin raged through their relocation site leaving some of the Core Shelters destroyed. “Before we know it, we went back to zero because of Lawin,” Bayod narrated. Kumon, the barangay’s version of Bayanihan, was practiced to hasten recovery. This practice requires every household to send a representative during communal activities that need manpower. “Our barangay is proud that we still practice “Kumon” in all our community projects and activities,” Gamileng boasted. She believes that Kumon helped them to get through the physical and emotional struggle brought by Typhoons Ineng and Lawin. This also allowed them to continue receiving basic services from various government agencies and private organizations. In 2016 and 2017, Barangay Tamac was able to land the top priority projects for both second and third cycle of the DSWD’s Kapit-Bisig Laban sa Kahirapan-Comprehensive and Integrated Delivery of Social Services(Kalahi-CIDSS). Following the Kalahi-CIDSS’ community-driven development processes, strengthened community participation reflected in their output was noted in the barangay. During the implementation, they employed Kumon to fast track implementation. True enough, Tamac completed 300-linear meter Farm-to-Market road project for the second cycle, which was programmed for 90 days, in just 27 days. For the third cycle, they finished implementing a 325-linear meter road in just 18 days. “During our scheduled bayanihan, every capable community member, be it women, youth, senior citizens came out to help and most of the time some families came with all their family members” Joselito Rodriguez, Chair of Community Volunteers under the DSWD Kalahi-CIDSS program, proudly remarked. As one of the community volunteer, Gamileng is also convinced that constantly working with each other during scheduled kumon has brought them closer to one another which made facilitation of every activity easier and faster. Vice Mayor Marjorie Lagen said that the unity of the community members is one of the major factors that contributed to their fast recovery from the two disasters that severely hit the barangay. “When I first got introduced to Barangay Tamac, the bayanihan spirit was already there. When Ineng happened, that’s when we saw their strength. I’m not talking about their physical strength but their strength in keeping their faith and core values as they try to recover,” Villaviciosa Vice Mayor Marjorie Lagen said. She added that Barangay Tamac is the farthest barangay of the municipality and thus, most of the time residents have to rely on each other be it personal or communal matters. The barangay’s fast-tracked implementation of two cycles of DSWD Kalahi-CIDSS inspired the interest of other municipalities, within and outside the Cordillera, implementing the same program. Inspired by how Barangay Tamac turned their challenges to develop their community, community volunteers and LGU members of Burgos, La Union visited the municipality to learn from them. Tamac community volunteers and local government officials also became favorite speakers on good practices and strategies during regional conferences and learning visits. Last year, Villaviciosa received a back-to-back recognition from DSWD-CAR. The municipality was recognized as a model LGU implementing the Kalahi-CIDSS program in November 2017 while Barangay Tamac was recognized as Regional BAYANi Ka! Awardee under the improved local governance category in December 2017. During the Regional Local Government Unit Forum on the same month they were recognized as the “First to Complete Program Implementation of DSWD Kalahi-CIDSS NCDDP Second Cycle” and as the municipality with highest barangay assembly participation rate with an average of 80% rating for the 3-cycle implementation of the program. Cordillera Administrative Region – The Department of Social Welfare and Development has formally turned over a farm-to-market road (FMR) to the community of Barangay Benben in La Paz, Abra. This community-built 100 linear meter road which was implemented under the Kalahi-CIDSS through the funding of the Millennium Challenge Corporation (MCC) and Millennium Challenge Account – Philippines (MCA-P) will benefit 135 households in the said area. The community of Benben is one of the most remote barangays of La Paz, Abra. 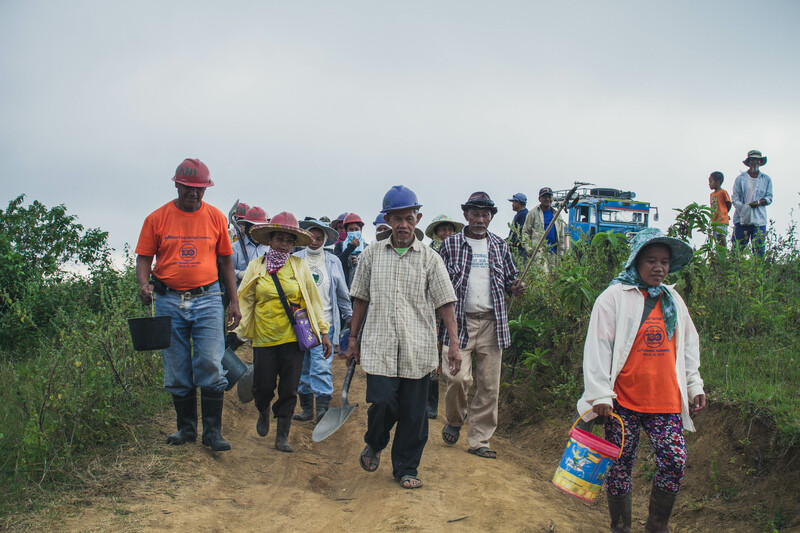 Being one of the farthest barangays, they have minimal infrastructure support thus the community lacks access to transportation services, social services, and economic stability. The major source of income of the community mostly comes from crops production and handicrafts. However, their products are almost not sold because these are hardly transported to the market and nearby municipalities specifically during the rainy season. During these times, the road is dangerous, muddy, and slippery for vehicles. Thus, most of the time, no vehicles, not even tricycles attempt to go to the area. Same effect it does to the children coming from Sitio Kariskis and Sitio Pamisilan attending at Benben Primary School who incur several absences all throughout the year. During dry season, most of them miss school due to sickness related to respiratory infections when they are exposed to road dust. Community Volunteer Gloria Galera, who also served as a member of the Barangay Representation Team, shared that they have long been waiting this project to be completed. “Haanen marigatan nga mapan ag-iskwela dagiti annak mi. Haan dan nga agawid nga kapitpitak nu panagtutudo. Maysa pay, nalaka min nga maiangkat ti produkto mi nga ipan idyay Poblacion ken idyay Bangued. Nalaka pay en nga makapan dagiti lugan ditoy barangay min. (It will not be hard for our children to go to school anymore. They do not have to go home with muddy feet during the rainy season. We are now able to easily transport our goods to Poblacion and Bangued. Also, vehicles can now access and reach our barangay. ),” Gloria shared. Meanwhile, Vice-Mayor Ching Bernos, who also graced the turnover ceremony, thanked the community for patiently working on the project. 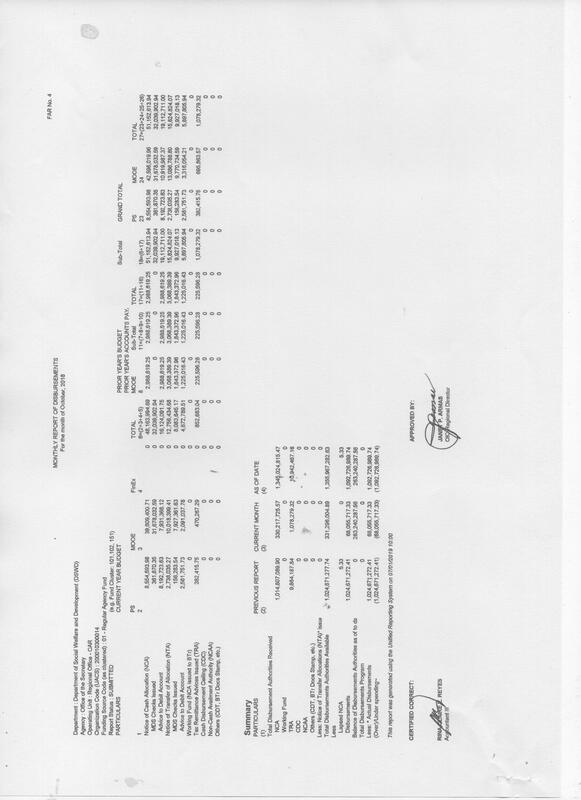 The MLGU and the community were able to deliver PhP 522,0001.29 Local Cash Counterpart in cash and in kind for the implementation of the sub-project. “Agtitinnulong tayo. Naswerte tayo ta adda iti Kalahi-CIDSS nga tumulong kanya tayo, isu nga ipakita tayo nga kaya tayo met nga i-mentenar daytoy baro nga kalsada tayo. (Let’s continue to work together. We are lucky to have Kalahi-CIDSS to help us. Let us show them that we can maintain our newly-constructed road project. ),” Vice Mayor Bernos said during her message. Cordillera Administrative Region – A total of PhP 82 million has been allotted for the Department of Social Welfare and Development’s (DSWD) Pantawid Pamilyang Pilipino Program (Pantawid Pamilya) beneficiaries here. The increase can be associated to the expansion of the program’s age coverage. DSWD-CAR Regional Director Janet P. Armas said that this increase aims to intensify the assistance that the Government provides for the poor families, as identified by the NHTS-PR or Listahanan, with children 0-18 years old. “The cash grants from the Pantawid Pamilya are provided given that our partner beneficiaries are able to comply with the program’s conditionalities. It ensures that the children are able to go to school and avail of the health services. And through its expansion, we are providing the beneficiaries the opportunity to finish their secondary education. “Dir. Armas shared. It was in SY 2012-2013 that the Department of Education has decided to implement the K to 12 curriculum which added two years of basic education for Filipino students which involved the Pantawid Pamilya children. With this, the Department has pushed for the age expansion and was eventually implemented in 2014. 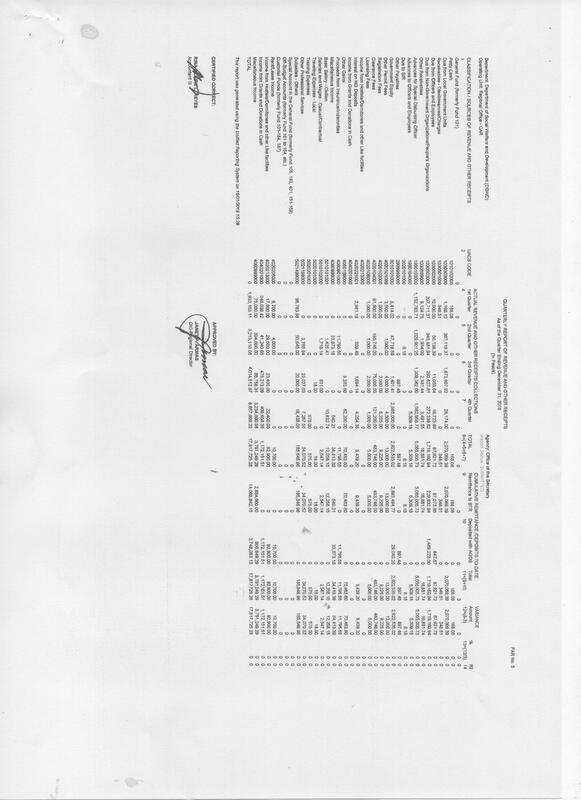 As of 24 February 2015, a total of 62,669 households are under the Pantawid Pamilyang Pilipino Program. 118,656 children are monitored by the program in relation to their compliance to education. And a total of 9,213 students have been added to the list because of the program’s age expansion. Among the beneficiaries who will be able to benefit from the program expansion is 31 year old Maureen Calonge of Brgy. Honeymoon, Baguio City. For the last pay-out, Maureen received Php 1,100 for her two (2) children who are under the Pantawid Pamilyang Pilipino Program. “Nasunog ang bahay namin noon at hindi ako nakapagtrabaho dahil kailangan ako ng bunso kong sakitin. Dahil sa ibinibigay na tulong ng Pantawid Pamliya, kahit papaano ay nakaka-recover na kami dahil yung grant, nagagamit para sa pag-aaral ng mga anak ko, nakakadagdag sa panggastos namin”, Maureen shared. “‘Ang Babaeng Walang Pahinga’, yan po ang madalas na itawag nila sa akin,” Eva Pitas said in her usual cheerful voice. Coming from a poor family, Eva has been into different kinds of job since she was 16. She worked as“kargador”in various grocery stores in Baguio City and later was hired as a saleslady at Mines View Park. Eva, who is now 47 years old, continues to add items to the list of jobs that she does. Among of which is being an entrepreneur as she sells souvenir products at Mines View Park. At times, she also works as a saleslady at a thrift store. On her lucky days, she gets to engage in buy-and-sell scheme through a friend from Pampanga who would buy her wooden back scratcher in bulk. However, even with three jobs at hand, Eva never thought of taking some time to rest. With three children in the family, Eva and her husband, Edwin, had to work hard to provide for their needs. However, as a photographer at Mines View Park, Edwin’s income is not constant. He would only work thrice a week, as there are two other photographers under his employer. They would only get paid a part from their total earning for the day for taking pictures of tourists at the park. However, with the proliferation of digital cameras and smart phones, only few tourists need the service of park photographers like Edwin. 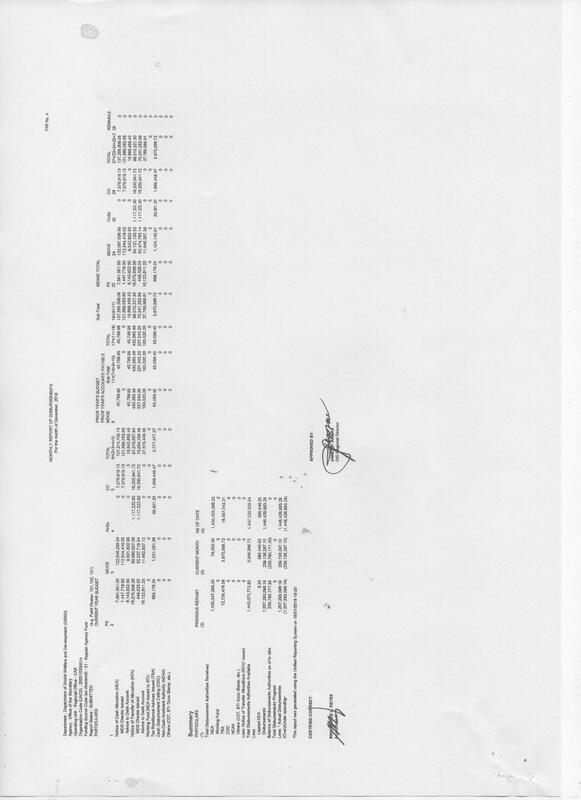 Despite the efforts of the couple and with the increasing needs of the children, the family was among the 646households in Baguio City that were included in the Department of Social Welfare and Development’s (DSWD) Pantawid Pamilyang Pilipino Program in 2010.“Akala ko ga-graduate na kami sa program. Pero noong nalaman ko po na ma-eextend ang coverage at ‘pag nag-18 [years old] pa ga-graduate, ang laking tuwa ko po kasi sobrang laki ng maitutulong nito saamin,” Eva confided. However, with the Program’s Age Expansion, her youngest child, 12-year old Vanessa, is able to attend high school.“Malaking tulong po dahil ‘yung pambayad sa school ng mga anak ko ay natugunan. Mahirap po ang magpa-college lalo’t pamasahe pa lang ay kinakapos pa. Ngunit maraming salamat po sa Pantawid [Pamilya],” Eva shared. With the assistance from Pantawid Pamilya and perseverance, Eva and Edwin are able to send all their children to school, including two college students. Another assistance was received by the family last April 2014 when Eva was selected as a program participant of the Sustainable Livelihood Program (SLP). Through the SEA-K modality, she received seed capital amounting to Php 10,000 for her livelihood project which is pressed flower and embossed card making. This has been a result of the program’s livelihood assessment on Eva which established that she has already an existing skill which she might use for livelihood.“Dahil na rin po sa maliit na puhunan na pinahiram ng SEA-K ay nakakatulong po sa pang-araw-araw namin.” Eva shared. Apparently, Eva has been introduced to the Care Channels International in 2008. Care Channels International is a non-profit organization which helps the poor to move out of poverty through various opportunities and trainings. She took the opportunity and for six years now, having undergone trainings, she is now able to conduct trainings herself and even share to other Pantawid Pamilya Parent Leaders her knowledge about the art of dry-pressed flowers and handcrafted greeting cards. During the PaskuJuan: Holiday Bazaar, that was held last 30 November 2014, Eva was able to share her skill in making hand-made greeting card designs through an on-stage demo in front of the other SLP Participants. Being a part of the Pantwaid Pamilya and SLP, Eva has been given another job- she was chosen to be the parent leader (PL) of their cluster. But unlike before, this job does not only give her the chance to help her family, but as a parent leader, she is now able to help herself too. In a Parent Leader’s Meeting with DSWD Secretary Corazon “Dinky” Juliano-Soliman conducted in Baguio City on 29 December 2014, Eva was able to conquer her fear – talking in front of many people. “Isang bagay na gusto ko pong ipagpasalamat sa DSWD ay malaking tulong po sa mga katulad po namin na talagang kailangang-kailangan ang financial assistance po. Nandun na rin ang [pagbibigay ng] moral support sa amin, [at ‘yung pagkakataon na] pakikibahagi sa iba’t-iban tao. Noon po kasi medyo mahiyain po ako pero ngayon hindi na po. Noong ako po’y naging parent leader, na-invite po ako na magsalita sa harap ng ibang parent leaders, na-train din po sa pagharap sa media. Pero ang higit na ipinagpapasalamat ko, na-extend po ang coverage ng Pantawid Pamilya. Yung anak ko po na high school, may anim na taon pa para matulungan ng programa,” Eva gratefully shared to the Secretary. “Hindi lang po dahil sa pera, malaki rin po ang naitulong ng mga seminars at trainings ng Pantawid [Pamilya] na nagging dagdag kayamanan sa akin sapagkat ang mga natutunan ko po rito ay nakatulong sa pag-angat ng aking pagiging mahirap, naiangat ang mababang antas ng pinag-aralan, at nagkaroon ng confidence sa sarili” Eva further shared. Aside from developing self-confidence, it was noticeable how Eva was able to further strengthen her spiritual life as she gave Secretary Soliman a copy of Our Daily Bread, a calendar-style booklet which includes writing about the Bible and insights about the Christian living. With these, Eva proves that being a recipient of DSWD programs does not only mean that they are given opportunities to improve their well-being not just economically but also personally. The Family Development Sessions (FDS) and other capacity building activities that she is able to attend as a DSWD beneficiary has also developed attitudes and values that she also shares to her children. k ko para hindi po nila danasin ang hirap ng buhay na mayroon kami ngayon. Kaya ko pong magsikap para makapagtapos sila, [at] magkaroon ng magandang buhay,”Eva emphasizing the importance of education. As for Eva, she continues drreaming to further improve herself. “Pangarap ko po na mabigyan ng pagkakataon para makapag-aral rin ako. At kung papalarin ay matulungan din ako [ng mga anak ko]na maabot ang pangarap ko. Nawa’y maging channel of blessings din po ako sa iba, lalo na sa ating lipunan,”Eva said.